Hello! 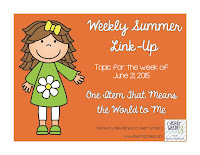 I am linking up with Miss Monica at I Heart Grade 3 for her Weekly Summer Link-Up. This week, the topic is, "One Item That Means the World to Me." How, oh how, can anyone narrow it down to ONE item?? I interpret this as a tangible item. What do I choose? My college degree? Our home? My Bible? 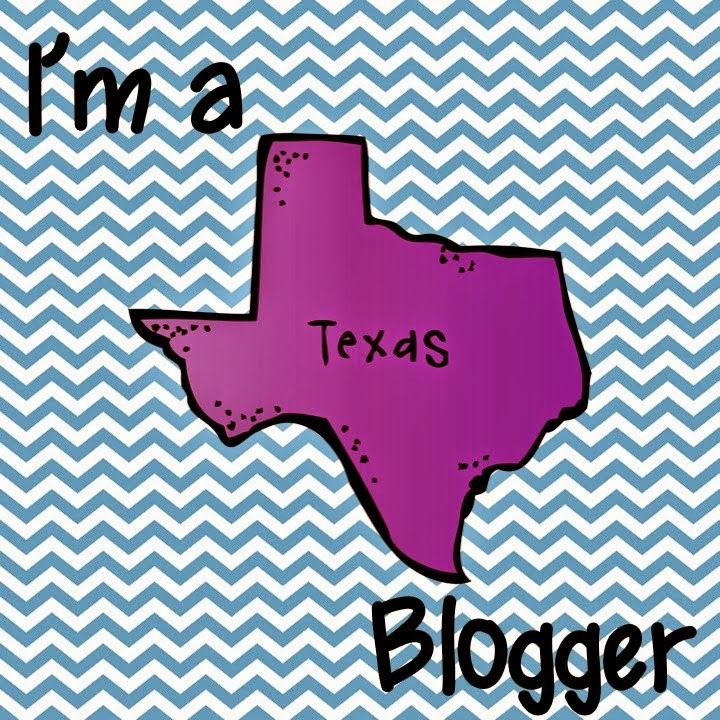 My Macbook, which I couldn't do any of my TPT/bloggy stuff without? I thought and thought on it, and I decided that the one item that means the world to me is my wedding ring. When I thought about it, my ring is a symbol of the things that I hold most dearly to my heart - God, love and family. My ring represents my love and commitment for my husband, our marriage made strong with the help of God, my family who celebrated us as we wed, and my family that was created because of our love. This was fun! I can't wait to see what the topic is for next week! Thank you Miss Monica! Thanks for participating in my linky party! I had a hard time narrowing down my item - just like you, I had so much to choose from! Hopefully you'll be able to link up again throughout the summer! I noticed several people picked rings to write about this week. Your's is lovely by the way. Mine doesn't fit me anymore. So, even though I still love it, I had to write about something else. Hi Mindy! 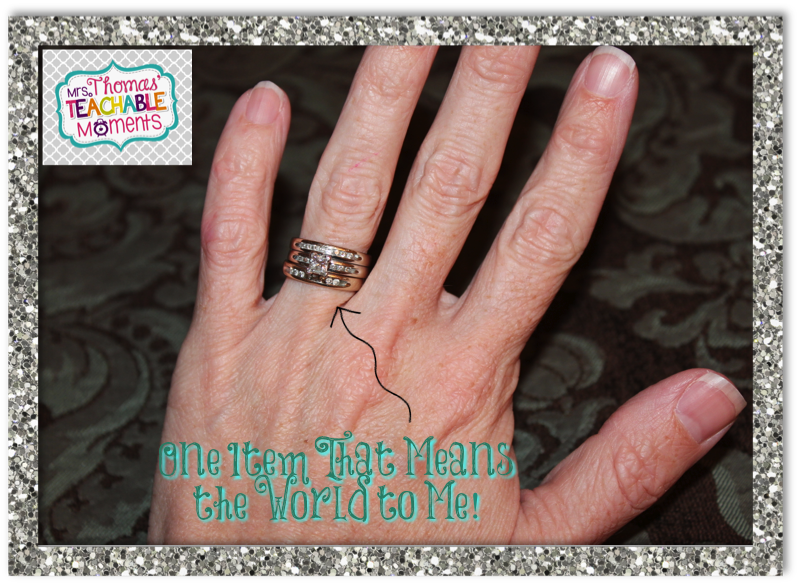 I chose to write about my rings too for this week's topic :) Yours are beautiful!